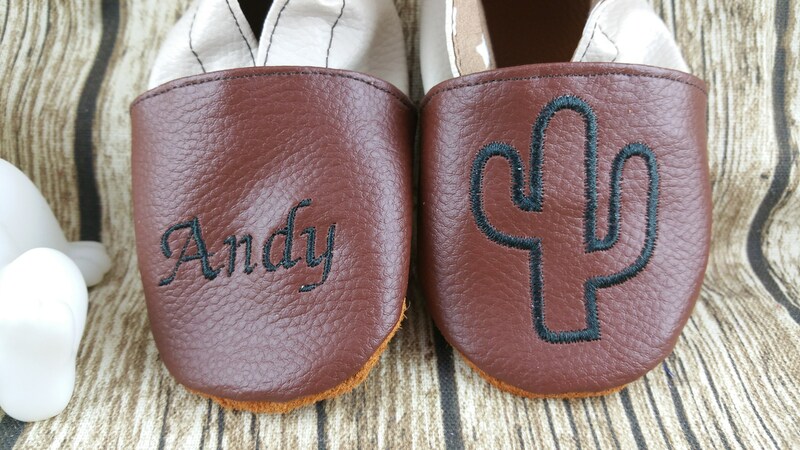 With a cactus embroidery, you add the name in the specific place when you order (just before to pay). 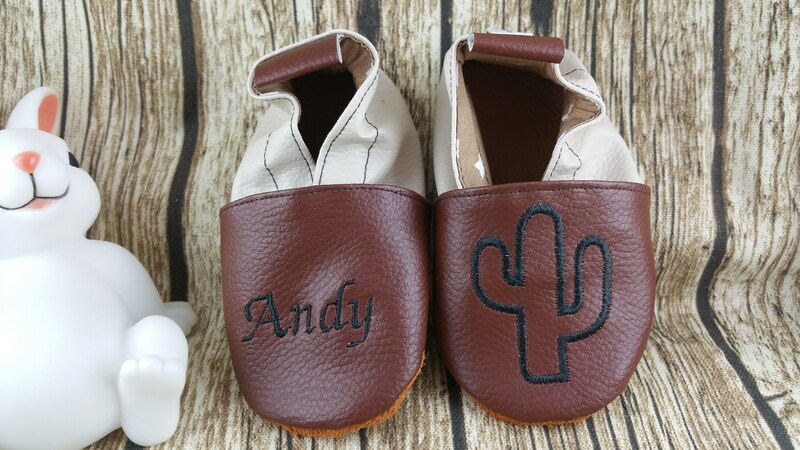 The pair presented above is made of leatherette. 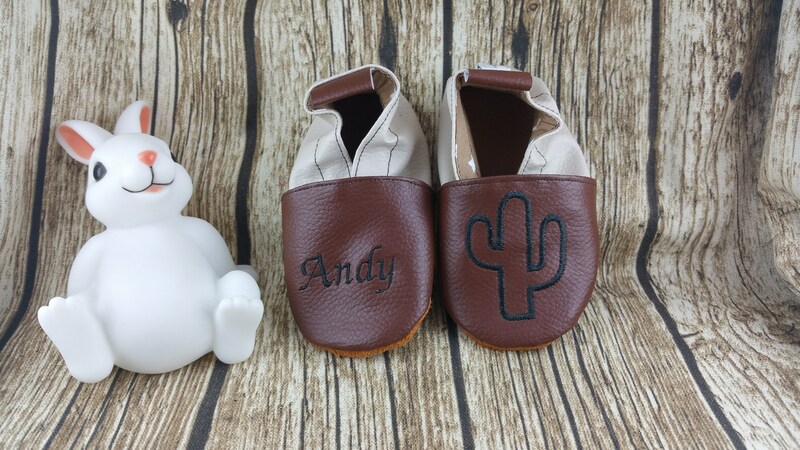 On one feet the embroidered child's name and on the other one a cactus. Of course, you can choose an other color.